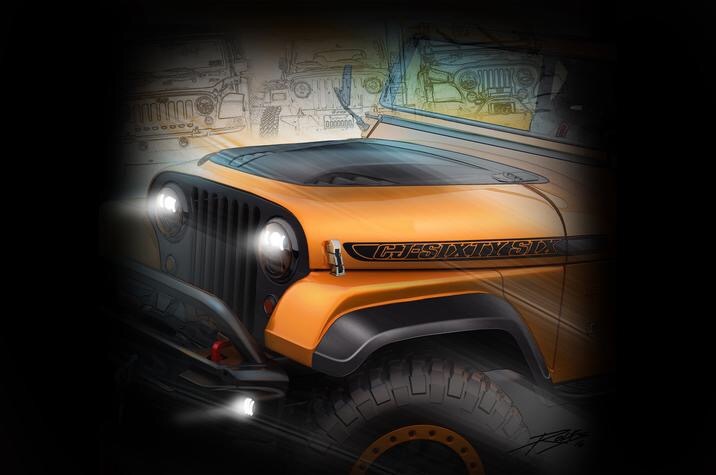 The sketch clearly looks like a CJ front clip, the hood decal says “CJ” yet the press release states this is a concept Wrangler. 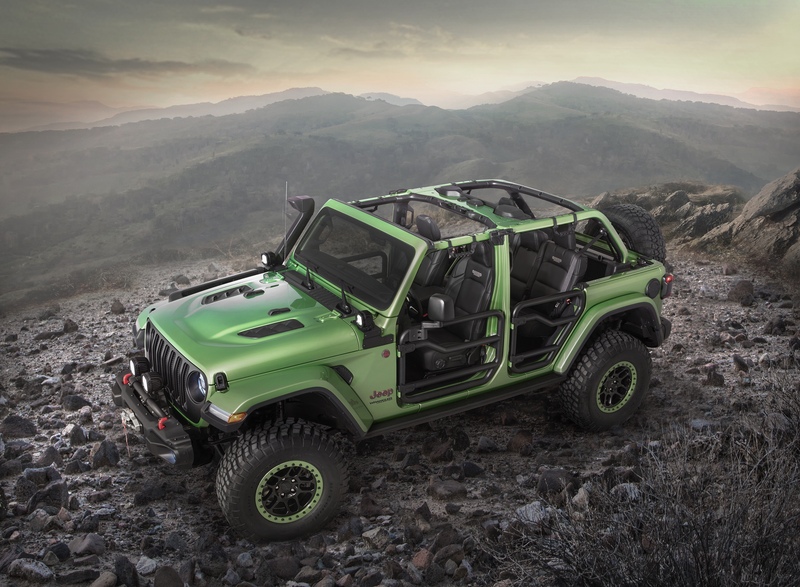 I’m curious to see if this is actually a JK with a CJ conversion, or a typo by the press release writer. We’ll find out next week at SEMA.